So that’s what we have to look forward too. 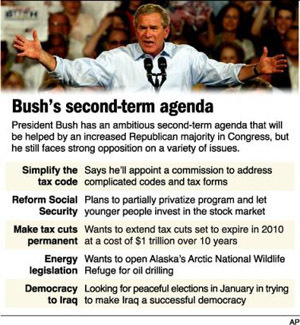 Hope Alaska is happy that they voted Bush. Wow, I wish I was a citizen of the Democracy we will try to call Iraq. "A Step Forward" by Jeremy Felt, unless otherwise expressly stated, is licensed under a CC BY-SA 4.0 International License.